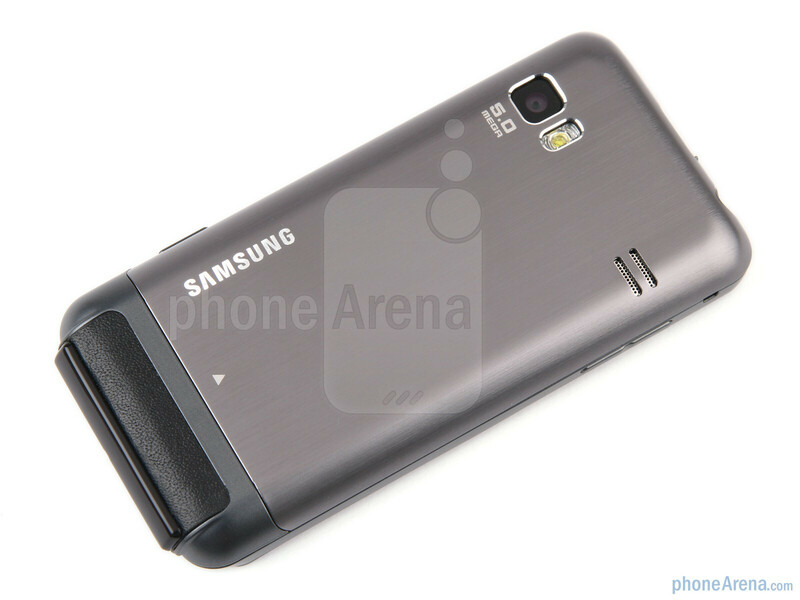 The first smartphone with Samsung's proprietary bada mobile OS – the Samsung Wave - had a thin aluminum chassis, the world's first Super AMOLED screen, and it was the handset where the 1GHz Hummingbird chipset made its debit. This was a lot of “firsts” to miss out on, be it only of curiosity. 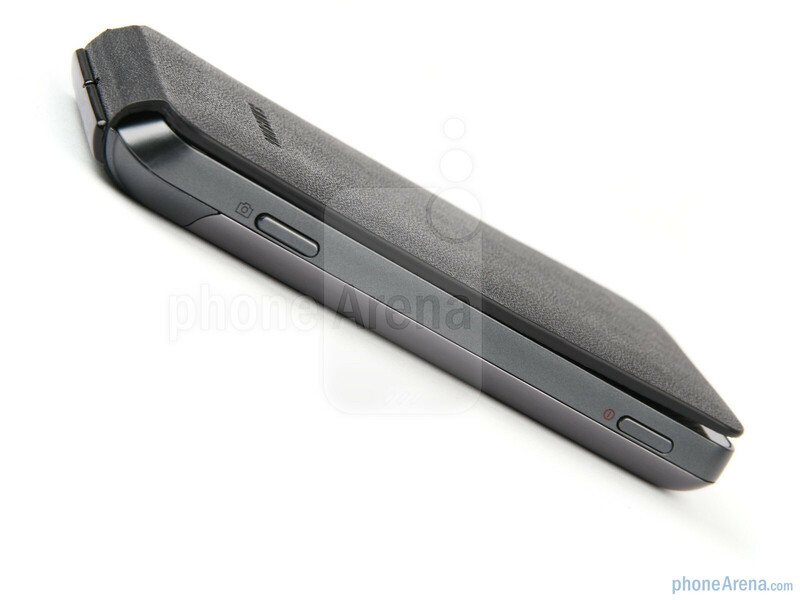 The Samsung Wave 723 has a streamlined rectangular design with curvy edges, and the back is made of aluminum, like the body of the original Wave. 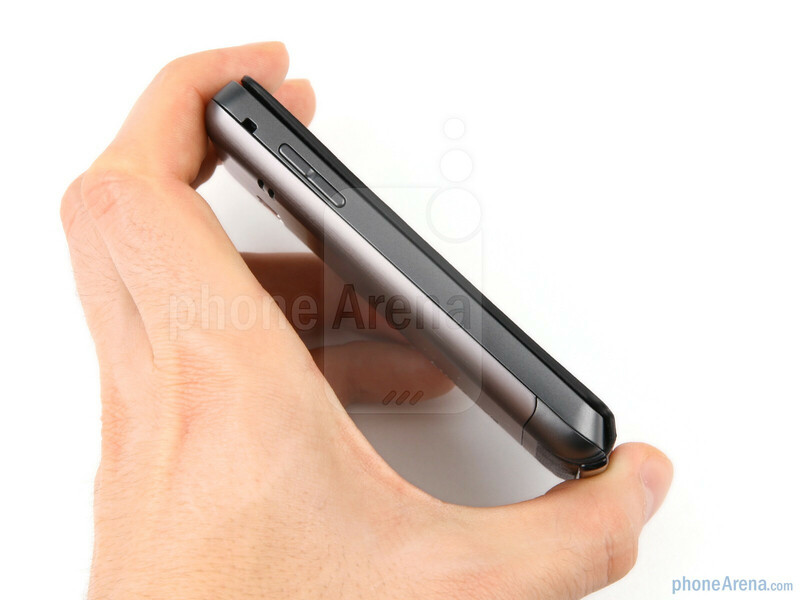 It is smaller than the Wave, but slightly thicker at 4.31 x2.12 x0.46 inches (109.5 x 53.9 x 11.8 mm). The 3.2” capacitive LCD display is of WQVGA (240x400-pixel) resolution, and there are three physical buttons underneath it – menu key in the middle, flanked by the send and end buttons. Being LCD, the screen boasts a pretty decent visibility outdoors, even if you don't crank up the brightness. 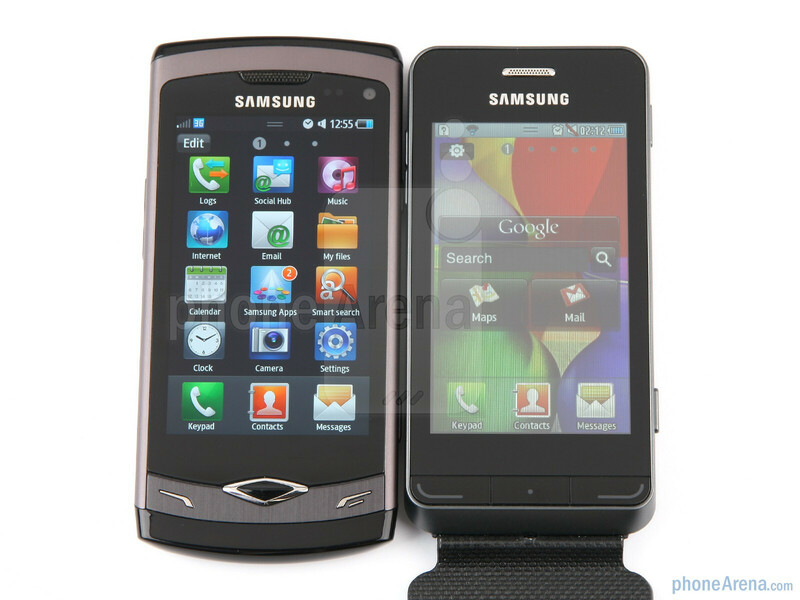 You can compare the Samsung Wave 723 with many other phones using our Size Visualization Tool. The sides of the Samsung Wave 723 host the volume rocker on the left, and the lock/power button, plus the camera shutter key, on the right. 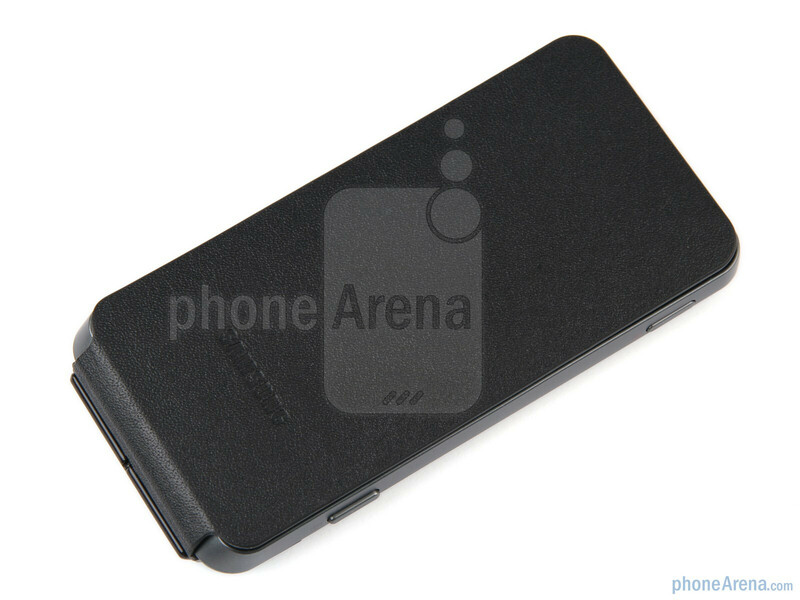 The top houses the microUSB port with a sliding cover, and on the back we have the back panel made from light brushed aluminum, which certainly adds to the solid design feel of the phone. 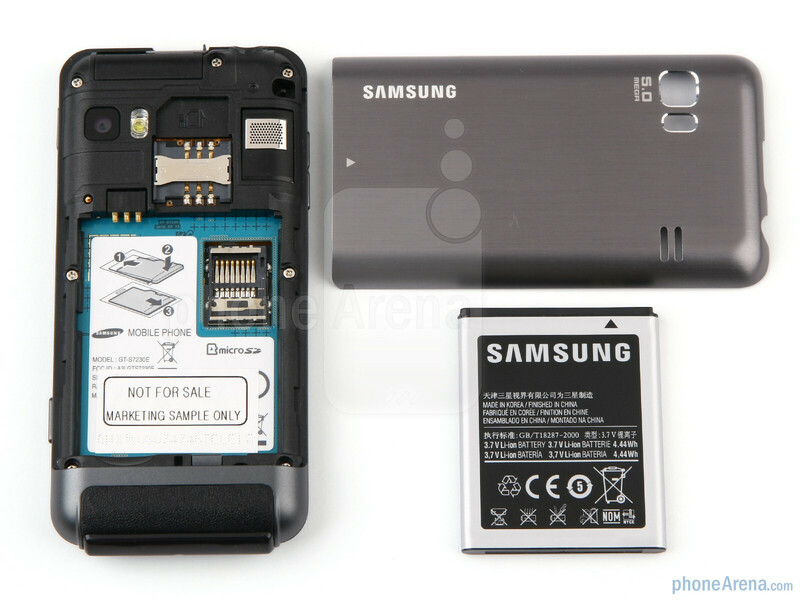 The 5MP camera on the back has an LED flash. 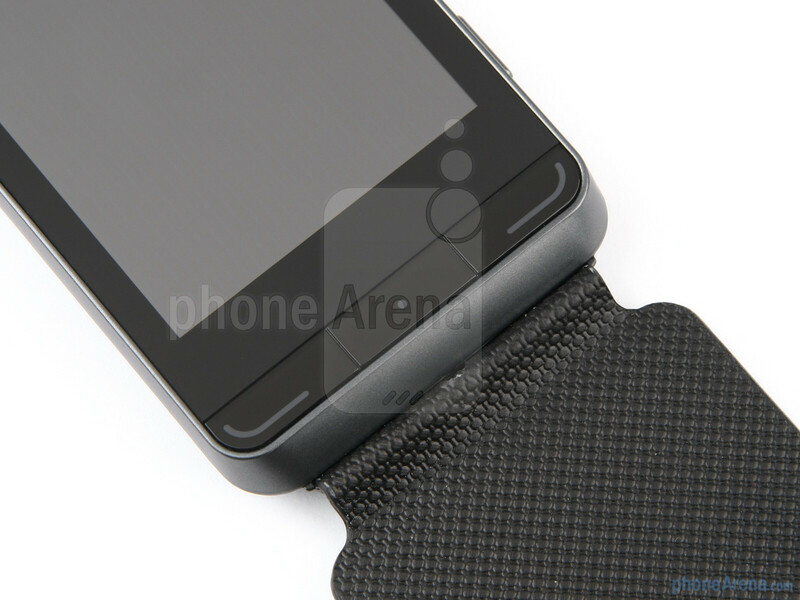 One very interesting design decision is to include a leather cover for the touchscreen, and attach it firmly at the bottom of the phone. Thus you need to flip it open every time you want to use the screen, even if only for checking the time. Not that it is extremely inconvenient, but the positioning is not well thought out. We are glad that Samsung has provided the option to remove it completely. It gets in the way annoyingly when talking on the phone, and when trying to type on the virtual keyboard. One thing the contraption did bring, is that we never worried about placing our phone with the screen down, no matter how coarse the surface was. In summary, the Samsung Wave 723 has a classy design with some high-end elements, fits nice in the hand, and feels solid. The top of the phone look more like star! Ever thought about flipping the cover all the way to the back so it's not in the way when typing on the landscape keyboard?? Not sure why the review video has to be 16mins long when it can be summed up in 5mins. 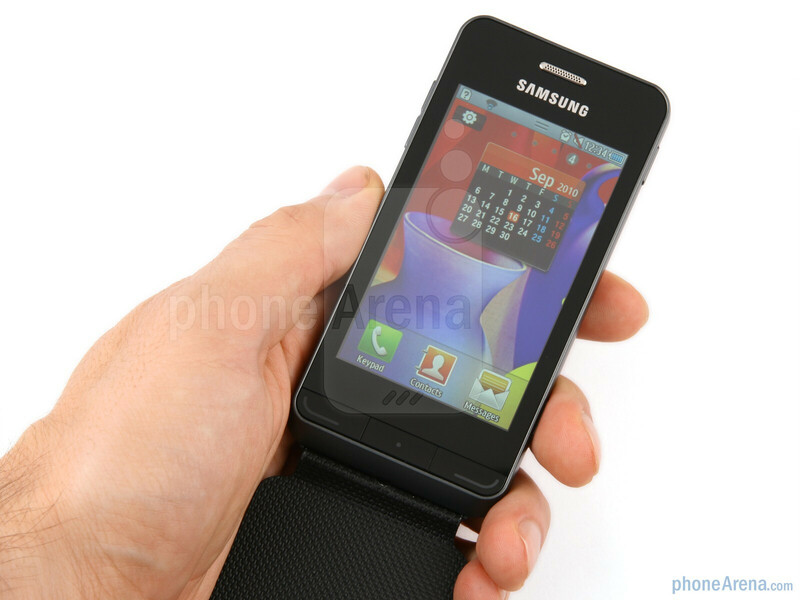 Bottom line is, Bada is basically Samsung's way of phasing out feature phone os. 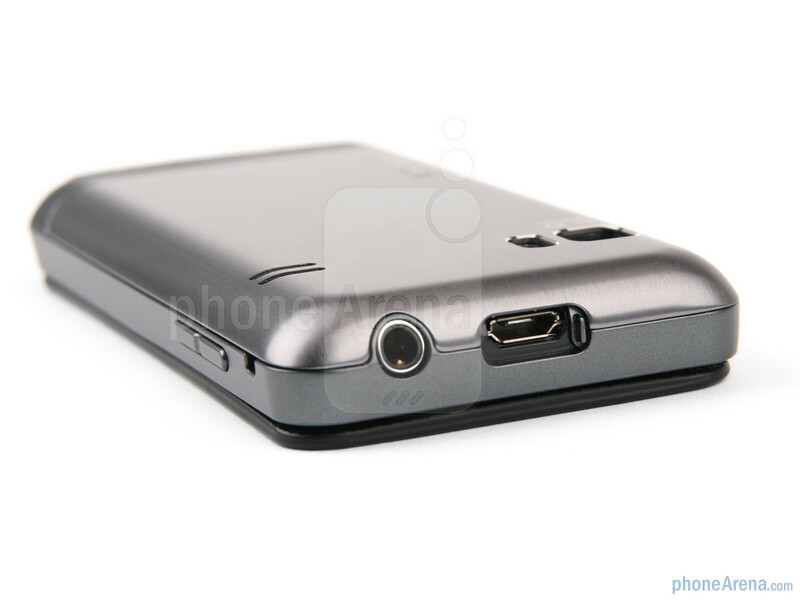 Review it as you would to a feature phone in the future. 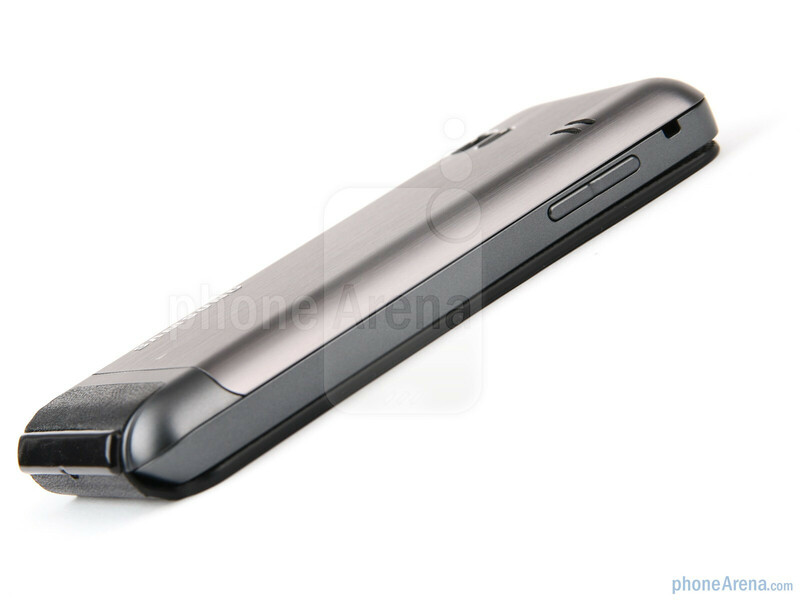 Okay, somebody explain to me why the Bada phones all have camera shutter buttons, but their Android phones don't. Wtf Samsung. 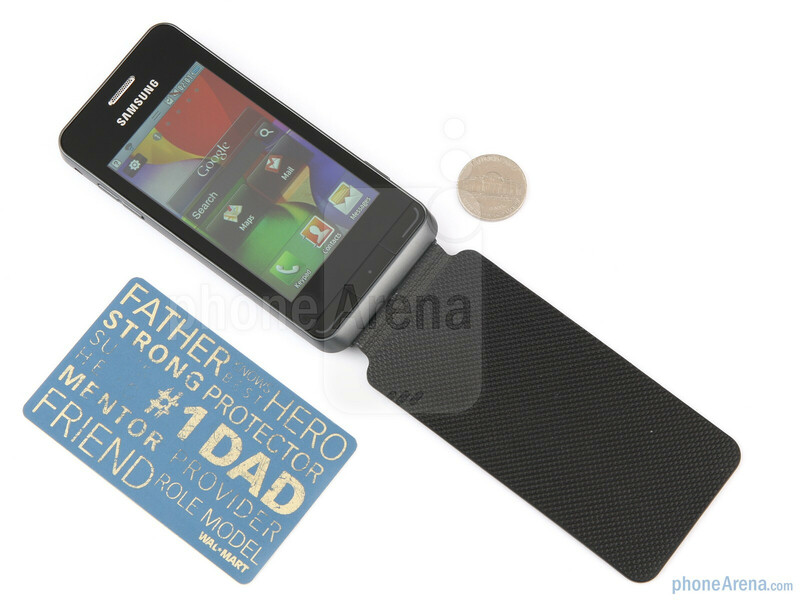 is that stupid gay little flip over screen cover removeable? i would hope so. i would throw that in the garbage as i walk away from the store after getting the phone..
Leather cover is only additional one and you can change it whenever you want with provided(default) normal cover. Would like to recommend you to take a look in the nearest handset store(when it's ready for your region) for actual status. hii...i want to buy this phone,plz tell me hw's its performance in touch and in screen resolution ? i just bought thus yesterday. the problem is my phone always auto-off when it in a stand by mode. can somebody help me. i'm really dont know what to do. everytime i want to use it, i need to move the battery and put it back. and it always auto off. help me please... what is wrong with my phone.. now i really regret to have 1.. i wanted galaxy mini at the 1st place, but atrracted with wave 723 promotion. i thought its better tham galaxy mini. looks like im wrong..
i ve bought that phone in january and i haven t noticed any serious problem...it has been very strong allthough i m really torturing it!